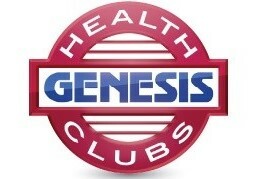 We are excited to announce that we will be partnering again with the Genesis Health Clubs organization at their facility in Lincoln, NE. We will be installing our KBL LED light fixtures on their 4 indoor tennis courts! Our team is just about to finish up the work at the Genesis Health Club in Omaha, NE. Be sure to check back on the blog to see some “after” pictures. To learn more about the Lincoln club click here. To learn more about our LED light fixture, click here.